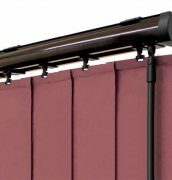 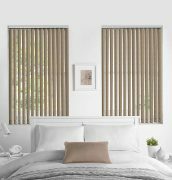 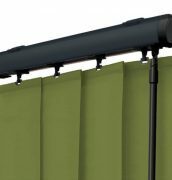 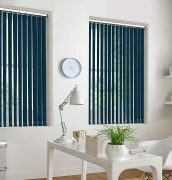 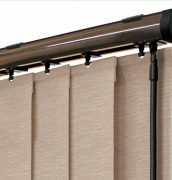 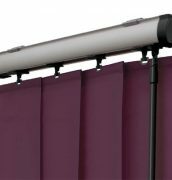 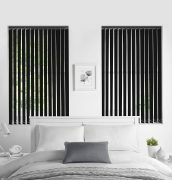 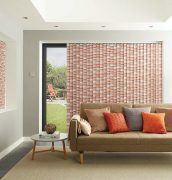 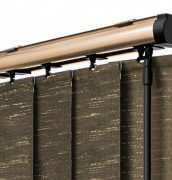 Probably the most practical blind type vertical blinds offer precise light control and ease of use. 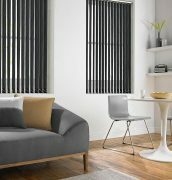 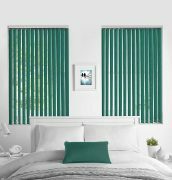 Vertical blinds are now available in a massive range of fabrics from machine washable and wipe down for the most practical of uses in offices or bathrooms, to more stylish fabrics to give the most modern home a contemporary look. 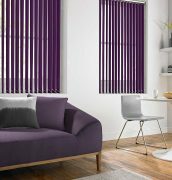 Vertical blinds can be a solution for more unusual window shapes with the option of having a curved headrail or on a sloping window. 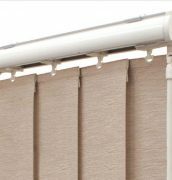 You also have the choice of different finishes for the headrail and components giving you the option to personalise your blind to meet your requirements. 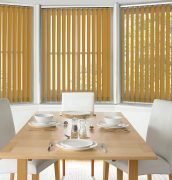 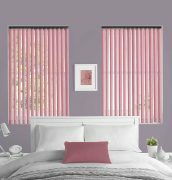 As with all of our products vertical blinds include our child safety system making them a perfect choice for the family home. 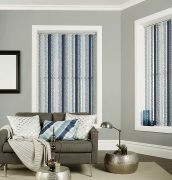 So whether you are wanting classic and traditional or modern and practical vertical blinds can meet every need.